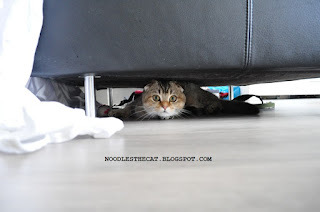 I IZ NOODLES THE CAT: Humanz found me!! Today I was hiding again. I thought I did well, but humanz were able to find me. That iz why I look suprised.